Are you looking for a wedding gown that expresses your unique style and personality? Here at Copplestones Chester we are excited and proud to announce we are now stocking bridal gowns by the award winning designer Charlotte Balbier. Charlotte Balbier is reknowned for her romantic, boho style dresses. You can see some of the range we have on our website, and when you do be sure to look out for the ‘Bodacia’ one of our favourites with a flattering A line shape in soft satin fabric and fabulous lace back detail on the bodice. The talented Charlotte Balbier, whom established her brand in 2003, is the daughter of famed wedding dress designer, Amanda Wyatt. 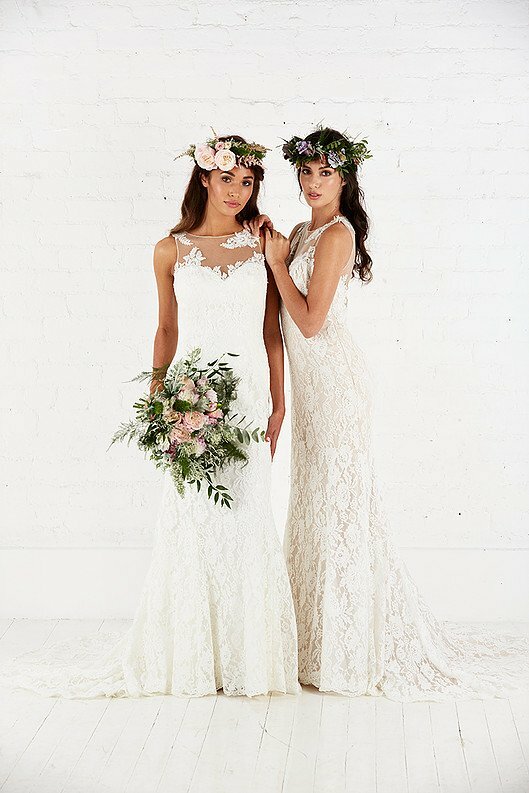 Amanda Wyatt is another one of our designers that we stock here at Copplestones Chester, with a range of stunning dresses available to view here. If you book your appointment quickly, you may even be able to snap up one of Charlotte’s beautiful gowns with up to 50% discount – we have around 100 dresses here in store available to take away on the day at incredible prices. With such gorgeous designs, we don’t expect them to be around for long!